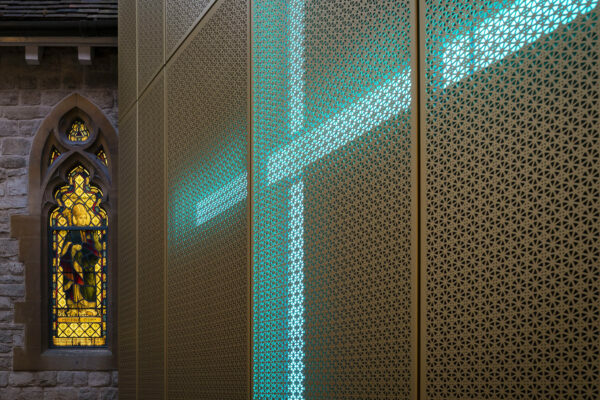 Three spaces which together form an experiential sequence, supporting the needs of the Chaplaincy and Choir. 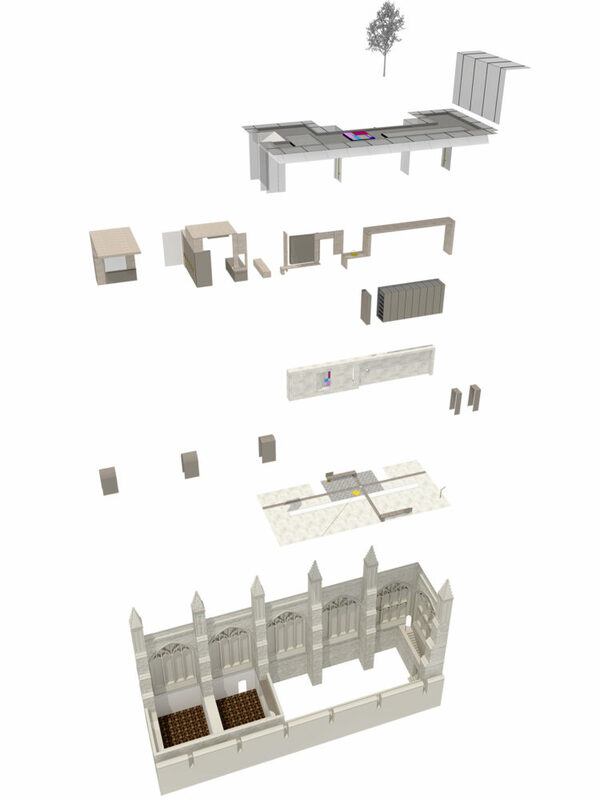 We were invited by New College, Oxford to participate in a limited competition for the Chapel Yard project. 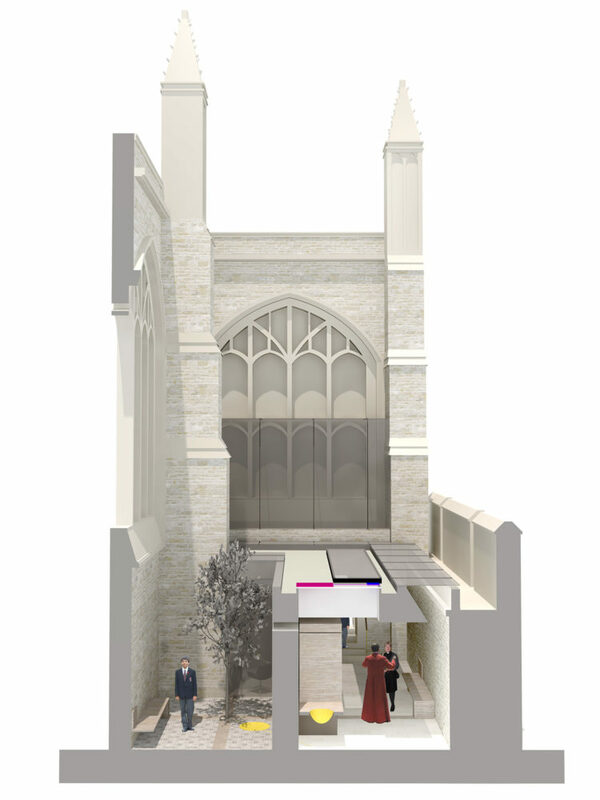 The brief called for three main spaces: Song Room, Main Vestry and existing Chapel. The spaces together form an experiential sequence which supports the needs of the Chaplaincy and Choir, as they prepare for service and commence through the processes of rehearsal, robing and procession. As this sequence is undertaken, so the atmosphere of each space adjusts the senses, in preparation for the performance at the service. The Song Room represents the entrance space to the facilities. It is also the space which can be considered the first space in the experiential sequence that marks the preparations for a typical chapel service. The focus on this space is primarily one of gathering of the choir to undertake practice. The Main Vestry is also vital to the experiential sequence and the significant burden placed on this space to support a number of activities is reflected in the design of the timber clad Centrepiece to this room. The centrepiece separates functions within the room without completely dividing the space. The Chaplain’s Vestry, being the main activity space, is intended to offer a place of calm and contemplation, as well as support the pragmatics of preparing for a service. It incorporates a range of functional features including drawers and cupboards capable of storing the vestments and altar dressings.